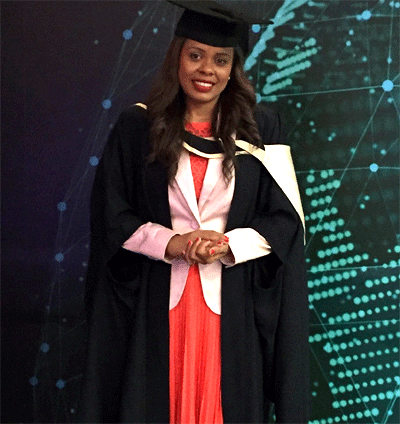 Sherin Naiken, the CEO of the Seychelles Tourism Board, was one out of a cohort students of the University of London International programmes 2016 graduating class who were awarded a degree certificate of achievement on Tuesday the 8th of March in a grand ceremony which started at 11 am. The ceremony was held in the Barbican Centre in the heart of the city of London. Ms Naiken awards was for a Master of Science in Finance majoring in financial sector management. Although the university of Seychelles is a Registered Centre for the University of London International Programmes offering a wide range of degree programs from environment sciences to law degree, Ms Naiken chose to follow her masters courses by long distance as this course was not available at the UniSey and given the fact that work and family commitment would not avail her the time to follow scheduled classes. Formerly a university of Manchester graduate with Bachelor of Art honours in Economics and Business studies, Ms Naiken followed this course for over a period of 3 years. During a reception shortly after the graduation ceremony, Ms Naiken had the chance to interact with her royal highness Princess Anne, she remarked by saying `’the successes of students like you represent long and sustained commitment to study.” She continued by saying specifically to Ms Naiken “it is amazing how you have been able to remain in full time work with a family while studying!” She also hailed to all the hardworking Seychellois women. The 2016 graduation Ceremony coincidentally falls on the women’s international day.